Spirulina is a microalgae from the Arthrospira platensis and Athrospira maxima species that was cultivated by the Aztecs and other Mesoamerican cultures since hundreds of years ago. Nowadays is one of the most common superfoods due to it’s high levels of complete protein, vitamins and minerals. Dried spirulina contains from 50% to 70% protein and contains all the essential aminoacids, high in essential fatty acids and also contains vitamin B1, B2, B3, B6, folic acid, vitamin C, vitamin D, vitamin A, vitamin E, vitamin K, potassium, calcium, chromium, copper, iron, magnesium, manganese, phosphorus, selenium, sodium and zinc. RAD! On top of this, is a good source of chlorophyll that helps to grow and repair tissues in the body and is a powerful antioxidant. * Increased energy, endurance and stamina. * Strengthening of the immune system. * Helps to purify the liver and may help protect against liver damage and failure. * Helps to maintain a healthy weight. * Lowers blood cholesterol and triglycerides. * Helps fighting viral infections. * Proven to prevent cancer and cellular degeneration. * Promotes healthy digestion and proper bowel function. 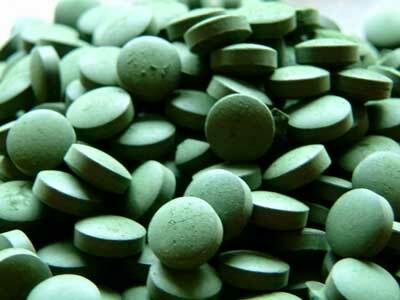 Spirulina can be taken in tablets, flakes or powder. Tablets are very practical since many people find the flavor of it too strong and ‘fishy’. You can try mixing it with you lemonade or in a smoothie or simply sprinkle it on top of your food, just making sure not to cook it since that will make it loose many of it beneficial nutrients. In our website you can find several recipes that call for it like our Mulegé smoothie. 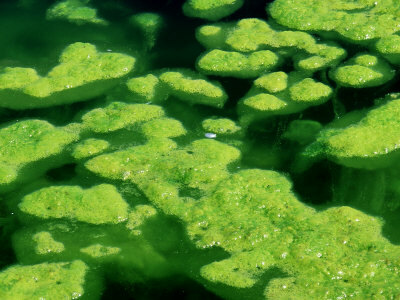 However, like many blue-green algae, can be contaminated with toxic substances and absorb heavy metals from the water is was grown in, so always get your spirulina from high quality brands. We’re working on adding a bunch of healthy tips for you Ninjas out there so I figure I would start by sharing with you one of my favorites breakfasts EVER!! 1 frozen banana -tip: remove the skin BEFORE freezing, makes it easier… we know by experience! 1 Tablespoon of raw cacao nibs. Must be raw, otherwise it looses a lot of it’s beneficial stuff, here’s a link with a lot of info: cacao rules! 1 cup of berries -I prefer blueberries but ANY is good, berries are super foods! 1 plátano congelado -tip: quítale la cáscara ANTES de congelarlo… lo digo por experiencia, te hace las cosas más fáciles. 1 cucharada de granos de cacao crudos. Tiene que ser crudo, de otro modo pierde muchas de sus propiedades, aquí te incluyo un link con informacion: cacao rules! 2 cucharaditas de semillas de chia, el combustible Rarámuri! 1 taza de moras -yo prefiero las moras azules, pero escoge las que quieras, las moras son super alimentos! Y listo! Licúalo todo junto y disfruta 🙂 Recuerda siempre ser creativo con la comida, experimenta y diviértete. Lo más importante es usar ingredientes frescos, vivos, llenos de nutrientes; es prácticamente imposible equivocarse teniendo una buena base.